Weitz & Luxenberg is one of the nation’s premier personal injury law firms, specializing in asbestos cases. Our dedicated attorneys advocate for those whose lives were ruined or altered by the toxic substance. Asbestos is a collective term given to a group of minerals that naturally occur as bundles of long, thin fibers in rocks. Asbestos is a collective term given to a group of minerals that naturally occur as bundles of long, thin fibers in rocks. It has been widely used in commercial products. Made of silicon, oxygen, and other elements, the material is known for its impressive strength and resistance to heat, fire, electricity, and chemicals. Because of these qualities, a wide range of industries used asbestos to strengthen, insulate, and fireproof thousands of products. However, it has been known for many decades that inhaling airborne asbestos fibers can cause devastating diseases, including mesothelioma, asbestosis, and lung cancer. 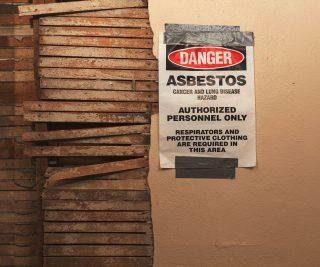 Although almost all uses of asbestos have been discontinued, it remains legal in the U.S. for more than a dozen uses. 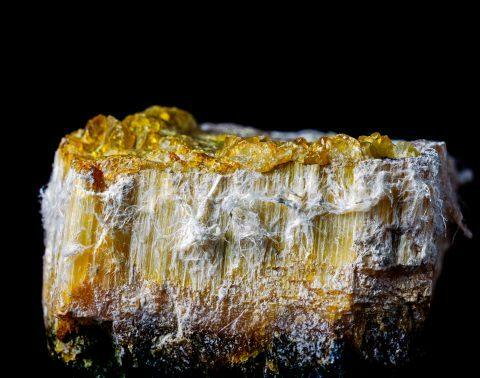 Asbestos minerals are categorized into two groups: serpentine asbestos, known as chrysotile, and amphibole asbestos, including amosite and crocidolite. All types have been linked with cancer. In fact, federal and international health agencies, including the U.S. Department of Health and Human Services, the U.S. Environmental Protection Agency, the International Agency for Research on Cancer, and the World Health Organization, classify all varieties of asbestos as cancer-causing substances. Chrysotile asbestos is the most widely used type of asbestos. Also known as white asbestos, chrysotile asbestos accounts for 90% to 95% of asbestos used in the U.S. It is highly flexible, making it ideal for spinning and weaving, although chrysotile had historically been used in brake linings, clutch facings, joint compounds, and many other products. Exposure to chrysotile asbestos causes mesothelioma, asbestosis, and lung cancer, according to the World Health Organization. Asbestos became a standard component of products such as cement, roofing materials, pipe covering, heating-system insulation, gaskets, and brake linings beginning in the late 1800s. The material was woven into textiles, which were then used to make fire-protective clothing, masks, and gloves for people who worked in environments with intense heat, such as welders. Companies used asbestos insulation on industrial production lines and in refineries, power plants, and chemical plants. Virtually every U.S. Navy ship built from 1930 until about 1970 contained asbestos. It was used to insulate the engine rooms and pipes aboard the ships, and to fireproof walls and doors, while asbestos gaskets and packing was used in boilers, pumps, and valves. Virtually every U.S. Navy ship built from 1930 until about 1970 contained asbestos. The construction, shipbuilding, and automotive industries, among others, continued to widely use asbestos until the 1970s, when the health consequences of asbestos exposure lead the U.S. Occupational Safety and Health Administration (OSHA) to impose severe restrictions on exposures. Use of asbestos has declined dramatically since the mid-1970s, and mining of asbestos stopped in the U.S. in 2002. However, asbestos is still present in older homes and public buildings, including some schools, as well as in some construction and automotive materials. In addition, some companies continue to import the toxic substance. When asbestos-containing materials deteriorate or are damaged or disturbed during work-related or other activities, microscopic, toxic fibers can become airborne and affect anyone who inhales them. People may be exposed to asbestos at work, in their communities, or in their homes. Asbestos exposure may happen when people saw, sand, drill, or scrape asbestos-containing materials, or when those materials age or weaken. Lethal asbestos fibers can also collect on workers’ clothing, putting their family members at risk of asbestos exposure in the home. When breathed in, asbestos fibers tend to build up in the lungs and cause inflammation and scarring over time. This can affect breathing and lead to serious health problems. Asbestos exposure kills at least 107,000 people each year globally, according to the World Health Organization. It is estimated that about half of the deaths from occupational cancer can be attributed to asbestos. In addition, several thousand deaths annually are estimated to be caused by asbestos exposure in the home. Cancer of the lining of the lungs and other organs. Malignant tumor that invades the lungs. Globally, about 125 million people are exposed to asbestos at work. In the U.S. alone, more than one million employees in construction and general industries “face significant asbestos exposure on the job,” OSHA has estimated. Children or family members may inhale asbestos fibers if a worker comes home with fibers attached to his or her hair, skin, or clothes. In addition, many asbestos victims trace their illnesses back to the military. With 30 years of experience in asbestos litigation, Weitz & Luxenberg provides exceptional and compassionate legal help to victims of asbestos exposure. We have represented more than 33,000 individuals and families who have been affected by asbestos, taking on more than 500 cases each year from clients nationwide. A retired boilermaker from New York who was diagnosed with asbestos lung cancer chose Weitz & Luxenberg asbestos attorneys to obtain compensation from the asbestos companies that recklessly exposed him to asbestos. Our attorneys are committed to getting victims the compensation they need and the justice they deserve while holding companies accountable for the damage caused. We give each case our utmost personal attention. Because our firm has worked on so many asbestos cases, we are expert at pinpointing where people were exposed to asbestos, what products they were exposed to, and what companies are responsible. To date, Weitz & Luxenberg has won more than $8.5 billion in verdicts and settlements on behalf of our asbestos clients. If you were diagnosed with an asbestos-related disease or your loved one died from an illness caused by asbestos exposure, you may be eligible for compensation. Our expert asbestos attorneys would be honored to help you. For a free consultation and to learn more about your legal options, call or fill out a form to speak with a member of our dedicated team.